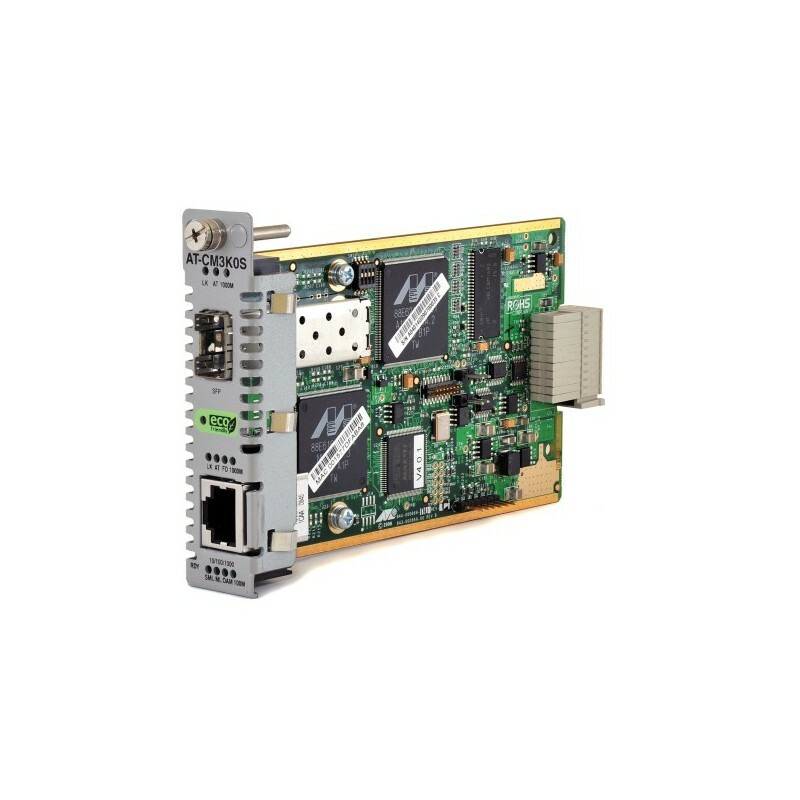 This media and rate converter line card features a 10/100/1000T twisted pair port and an optical SFP port. The twisted pair has an RJ-45 connector and a maximum operating distance of 100 meters (328 feet) when connected to an Ethernet or Fast Ethernet or Gigabit Ethernet device. They operate in full or half-duplex mode, and allow you to build an affordable network, avoiding the cost of terminatiang fiber cables. The AT-CM3K0S has a SFP port supporting both Fast Ethernet and Gigabit operation, allowing a choice of multi/single mode, dual/single fiber SFP modules. Certification FCC, EN-55022, VCCI, C-Tick, CE.